Habit: fast growing tree reaching 75 ft (25m) with a symmetrical canopy. It has horizontal branches with pendulous tips and attractive silver gray bark. The crown is a pyramidal shape in younger trees becoming more oval with age. The green to yellow leaves are elliptic to oblong with finely serrated margins not rolled under. They are thicker and more leathery than other alders. Drooping greenish yellow male catkins, in clusters of 2-5, bloom before leaves emerge from mid winter to mid spring. The female catkins are born at the ends of branchlets. The tiny seeds within the cone lack papery wings. Also grows as a large shrub. Ecology: commonly found along streams and rivers at low to mid elevations on both sides of the Cascades in Oregon. Growing Conditions: will grow easily in full sun or partial shade in wet to dry soil. Tolerates sand, clay, poor drainage and seasonal flooding. 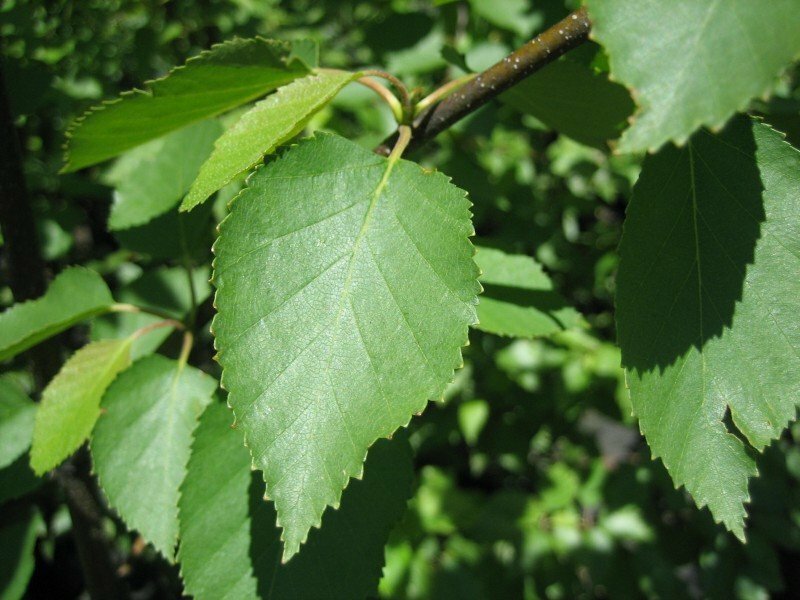 White alder is also a nitrogen fixing plant, improving soil fertility and is often associated with disturbed sites. It is also an excellent choice for streamside erosion control that will grow right in the creek bed with the water flowing around it.